When you think of the National Library of Medicine, what comes to mind? Is it a Polynesian canoe? That definitely wasn’t my first thought either, yet South Pacific seafaring traditions have a connection to the National Library of Medicine. When I found out I would be interning at NLM in the History of Medicine Division on a fellowship from the Association of Research Libraries’ Career Enhancement Program, I was quite nervous. One of my first reactions was to jump on the National Library of Medicine website, and check out my new workplace for the summer. As a graduate student pursuing my MLIS with a certificate in Museum Studies, my last health science class was more years ago than I would like to admit. My hesitation quickly dissolved as I browsed and realized that there are fascinating stories about the relations between art, science and society being told in the History of Medicine Division. Here in the Exhibition Program, historians, researchers, and librarians work together to collect and interpret materials into engaging exhibits that reach students, educators, and life-long learners alike. Even now, I’m still captivated by how these historical materials on health and disease are captured in a narrative form that piques the interest of more than just scholars and doctors. There are currently 23 exhibitions online that not only connect visitors to the collections of the National Library of Medicine, but also give access to thought-provoking and educational information about the history of medicine. More than half of these have a traveling exhibit, available free of charge to host institutions around the country and the world. 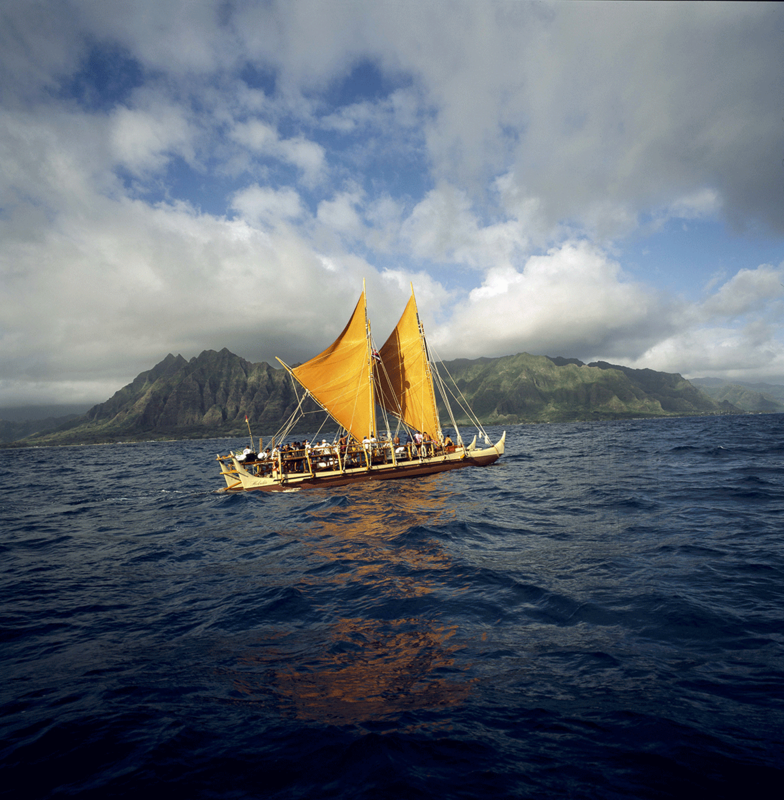 I am privileged to be working on a project for one of these, A Voyage to Health, a six panel traveling exhibition about Polynesian voyaging and how it has helped to support a cultural renaissance for Native Hawaiians, which includes a return to healthy practices that predate colonization. My project involves finding successful ways institutions that host traveling exhibitions can create programming and partnerships. Through my research, I’ve noticed just how creative the NLM’s host institutions have been in connecting with their communities. One thoughtful programming idea that I’ve come across is from the Dana Medical Library at the University of Vermont, where they created a complementary exhibit exploring similar themes of culture and health by highlighting the activities of a team of local breast cancer survivors that participates in Lake Champlain’s Dragon Boat Festival. Another engaging example is from the University of Florida’s Health Science Center Library, which partnered with the National Network of Libraries of Medicine to host a two-month-long Speaker and Film series on topics related to health and indigenous peoples. And Lister Hill Library at the University of Alabama at Birmingham created a display of books from their collection that complemented the traveling exhibit, and also presented a lecture on the influences of the West on traditional Hawaiian health. These are just a few examples of the many interesting programming ideas that host institutions have developed to supplement traveling exhibitions. To find out where you can see A Voyage to Health and other traveling exhibitions on display, head over to the Exhibition Program website! 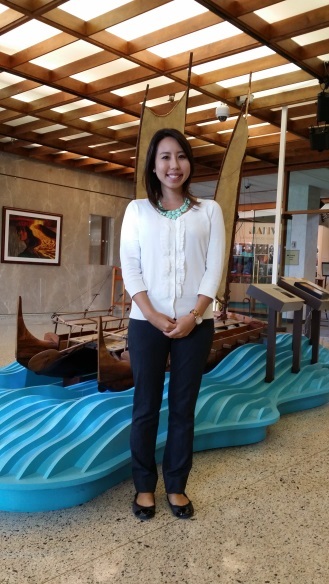 Alicia Yanagihara, is a graduate student at University of Hawaii at Manoa, pursuing a masters degree in library information science. During summer 2014, she worked at NLM as a fellow from the Association of Research Libraries Career Enhancement Program. Alicia is pictured here standing in front of the model of the Hōkūle’a installed as part of the NLM’s current flagship exhibition Native Voices: Native Peoples’ Concepts of Health and Illness. New discoveries can come from unexpected places and times. So glad you have the chance to experience this program.